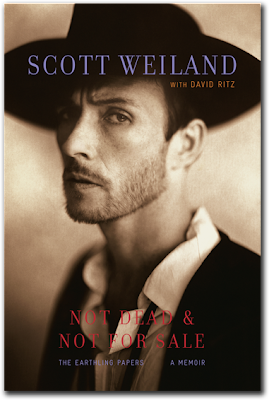 Scott Weiland’s autobiography, “Not Dead & Not For Sale,” is available today. The book covers Weiland’s rise to fame with Stone Temple Pilots, his fall from grace with hard drugs, his comeback with Velvet Revolver, and his reunion and redemption with STP in recent years. In part 5 of a 6-part series of webisodes to promote the book, we see footage of Weiland and a reunited STP, which happened in 2008 following Scott’s departure from Velvet Revolver. Weiland is doing a few in-store book signings, so fans can get up close and personal. Wednesday, May 18 at 7:00 p.m.
Tuesday, May 24 at 7:00 p.m.